Study for an accredited MBA in Prague in the European campus of University of Pittsburgh. Join the international business elite for an Executive Master of Business Administration in Prague. 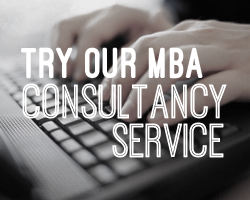 Why apply for an Executive MBA at KATZ Graduate School of Business? The Katz Executive MBA Worldwide Program gives you the knowledge, business skills and intellectual exposure, you need to achieve success in the competitive global marketplace. EMBA graduates from Katz Graduate School of Business become members of a strong alumni network and benefit from career planning, executive coaching, and mentoring programs. The Joseph M. Katz Graduate School of Business and College of Business Administration has been established on a strong research culture and academic tradition, and supported by the excellent business premises in the areas where its campuses are located: Pittsburgh, PA, Sao Paolo and Prague - the last of which is home to the Executive MBA Worldwide program. The academic mission carried out by faculty at Katz Graduate School of Business is to prepare students to be catalysts for change. Business studies programs are designed to help merge communities of knowledge with communities of practice and create exceptional experiential learning outcomes. Experience-based learning: Katz graduates have the knowledge, skills and entrepreneurial drive to make an impact on day one back to the office. Students are prepared to meet the day-to-day challenges of business through field projects involving consultancy, fellowships, professional development training, internships and co-ops, and national case competitions. Collaboration: Candidates and faculty have numerous opportunities to experience cross-disciplinary collaboration. At every point during their studies, Katz students serve on cross-functional teams and complete group projects. Innovation: In today's competitive environment, business agility is a key requirement for businesses and individuals. Katz Graduate School is home to the Institute for Entrepreneurial Excellence and offer a Technology, Innovation, and Entrepreneurship Certificate. Globalism: The Katz International Business Center provides access to a diverse range of international business opportunities through its global qualifications and degree programs.